Confederate Cruiser Motorcycles Cruiser Motorcycles : Find New Or Used Confederate Motorcycles Cruiser Motorcycles for sale from across the nation on CycleTrader.com. 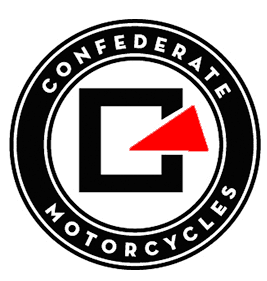 We offer the best selection of Confederate Motorcycles Cruiser Motorcycles to choose from. The next Generation of Confederate limited productions models. Only five remain available today! Order your FA-13 Bomber today!100% carved from billet aluminum. Over 800 hours to machine all components. Anodized stealth-matte gray finish​. Each motorcycle is handcrafted to be an heirloom work of art that looks and rides like rebellion itself.The FA-13 Combat Bomber is the most powerful motorcycle ever produced by Confederate. You could argue it’s also one of the most aggressive as well – thanks in part to a monocoque frame made from 100 percent military-spec billet and a stealth-matte anodized finish. The 2019 FA-13 Combat Bomber The next Generation of Confederate limited productions models. Only five remain available! Anodized stealth-matte gray finish​. Each motorcycle is handcrafted to be an heirloom work of art that looks and rides like rebellion itself. With it's race-spec suspension components and exhaust system, and a newly designed air intake system developed during the Bonneville speed runs, the 2019 FA-13 COMBAT BOMBER is the direct result of the P-51 land speed bike. The FA-13 Combat Bomber is the most powerful motorcycle ever produced by Confederate. You could argue it’s also one of the most aggressive as well – thanks in part to a monocoque frame made from 100 percent military-spec billet and a stealth-matte anodized finish.Each machine communicates directly with it's rider so fortunate to experience it. It is the embodiment of authenticity, integrity and virtue. It serves up the road, the journey, with no fluff, no contrivance. In motion, from grip to peg to saddle, the accuracy, precision, and look-you-dead-and-unflinching-in-the-eye quality communicate the travelled road directly in a no-nonsense manner.Engine: 132 cubic inch (2,163cc) 56-degree air cooled V-twinPower: 145 bhp at 5,100 rpmTorque: 160 ft-lb at 2,000 rpmChassis: Machined aluminum monocoque, massive 7 in. backbone containing fuel load Top Speed: Over 160mphSuspension: Double wishbone, monoshock front suspension, cantilever monoshock rear suspension, fully adjustableDimensions: 62.5 in. wheelbase, 29.5 in. seat height, 560 lb (wet)Wheels: 19 in.  carbon front wheel, 17 in. carbon disc rear wheelTires: 120/70ZR19 front, 240/45ZR17 rearFuel Capacity: 3.75 US gallons/16.25 litresIncluded: Conceriege Delivery Service. 5 Year Factory Warranty. 30 month and 60 month Factory Service, including any and all new technologies or features to better personalize your unique Fighter. Unique in the most American hot-rod sort of way, the Speedster’s 3-inch steel backbone chassis swoops over the top of an S&S-sourced, 132ci, 56-degree X-Wedge V-twin. Output is rated at 121 hp with 140 pound-feet of peak torque. Chassis highlights include the 48mm WP fork, Beringer four-piston monoblock brake calipers with dual floating rotors, and BlackStone Tek carbon-fiber wheels. This machine is number 4 of only 65 units produced. The 2019 P-51 Combat Fighter Brutal, minimal, and built to last, reveal, and transform.​Fresh superabundant energy, force and power is breathed into the world's rebel motoring culture, as envisioned and created, one machine at a time, by the fiercely independent hot rod giants upon whose shoulders we so proudly stand.​As a salute to those gentlemen we so greatly revere, we are honored to offer the most primal example of raw American Power it is possible to create. 2014 Hellcat Speedster Unique in the most American hot-rod sort of way, the Speedster’s 3-inch steel backbone chassis swoops over the top of an S&S-sourced, 132ci, 56-degree X-Wedge V-twin. Output is rated at 121 hp with 140 pound-feet of peak torque. Chassis highlights include the 48mm WP fork, Beringer four-piston monoblock brake calipers with dual floating rotors, and BlackStone Tek carbon-fiber wheels. This machine is number 4 of only 65 units produced. The F-131 Hellcat The Hellcat Combat model is a limited edition variant of the second Hellcat series, featuring hand-ported and polished cylinder heads, increased compression ratio, special camshafts and a re-tuned intake system, contributing to a 12% gain in rear wheel horsepower and a 4% increase in torque. Altered suspension compression and rebound damping rates make for superior handling, enhanced feedback and increased rider control, while a new sports seat and Combat-specific finish completes the machine. The result is an exotic balance of power and beauty.​AHEAD OF IT'S TIME​Like the Wraith, this Hellcat is powered by a 45-degree v-twin engine (a ‘radial twin’) that uses a balancer shaft to reduce vibration to the level of a 90-degree v-twin engine. Displacing 131ci (2,147cc), the Hellcat power plant delivers 137bhp at the rear wheel via belt primary drive and a five-speed gearbox. Unlike the ultra-radical Wraith however, the Hellcat models utilise a conventional welded tubular frame, albeit one optimised for torsional stiffness with the aim of keeping the steering head properly aligned with the swinging arm pivot at all times. Unusually, Confederate chose to make the engine a stressed part of the chassis structure and were awarded an engineering patent for the mounting design. The F-113 Hellcat Designed by J.T. Nesbitt, the Generation 2 Hellcat is a powerful but tame motorcycle that can be safely ridden by any experienced rider.​This machine was previously owned by a good friend of the company and collector of Confederate motorcycles. ​​AMERICAN THUNDERThe G2, also called the F113/F124, served as a template for Confederate’s subsequent design language. While the G1 Hellcat had been a relatively conventional-looking machine supported by high-quality components and excellent attention to detail, the G2 was a mean, vicious son of a ***** that soon drew the attention of the public and the motorcycle industry, making Confederate the darling of celebrities and well-heeled riders looking for the ultimate in performance and exclusivity. The big twin and cradle frame were still present, as was the Confederate vertical gearbox, but all the details were reworked into a package that was completely unlike any other production machine on the market.